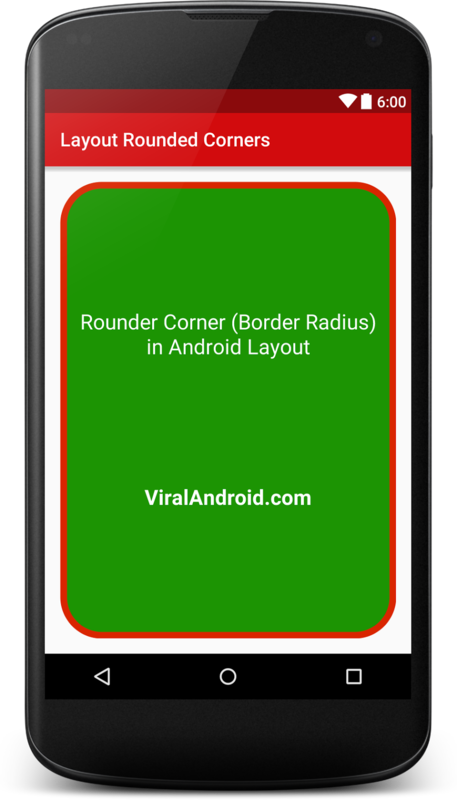 In this example, you will learn to make rounded corner (border radius) in android layouts. To make rounded corner of any layout first of all, you have to create a new xml drawable file with corners rounded and set layout background to the drawable xml file. Layouts are the user interface components in android application. Following is the xml layout file content.